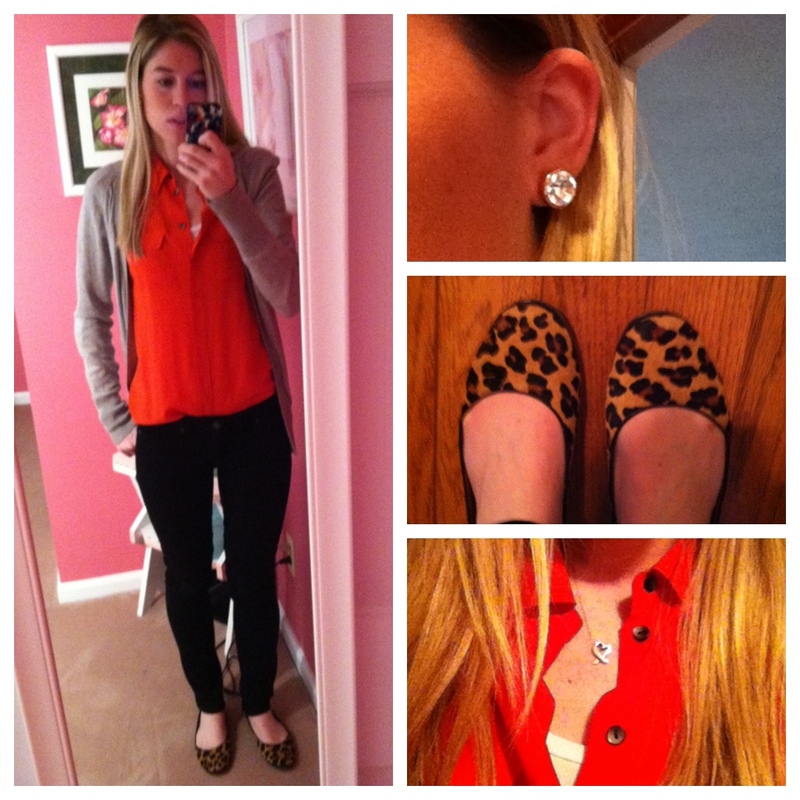 Leopard and red always look classy and chic! Have a safe trip! LOVE the leopard with red! I am obsessed with your top! Very cute look for the holidays! Great look, especially the shoes :D I definitely follow you, also on twitter...would you like to follow each other? Those earrings are beautiful! Love the pop of red and leopard. Great mix! Nothing beats the leopard and red combo! And i really like the grey sweater thrown in too! Nice photo and really cool outfit, you look great, I like your shirt, what a great color and that cardugan is so nice, the perfect touch to the outfit also you are really beautiful and your flats rock! Your have a lovely blog by the way and I am a new follower on GFC and Bloglovin! Hope you will like my blog and follow back!